Revel on the quiet sun kissed sands, listen to the ocean waves, gaze at the blue waters, feel the cool ocean breezes as you lounge on your private ocean front balcony . This penthouse is & end unit on the NE corner & feels more like a single family residence w/ tile & wood floors, a 3rd bdrm/study, large kitchen w/ ss appliances, dining room & living room, 2 generously sized bdrms w/ quality baths and a laundry/pantry closet. Sliding glass doors from the living rm and the mstr bdrm provide spectacular ocean views from as far as the eyes can see. 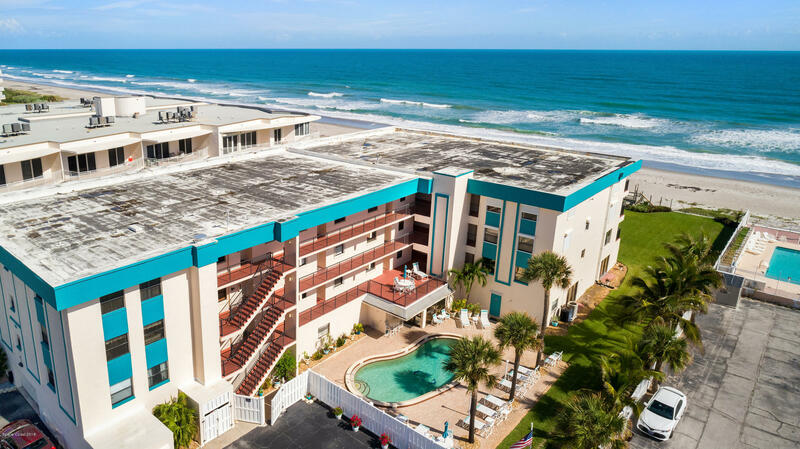 Surfrider amenities include large pool, private storage, assigned 1 car under building garage, secured lobby, beautiful property, & direct access to the ocean, and only a short walk to the boardwalk.